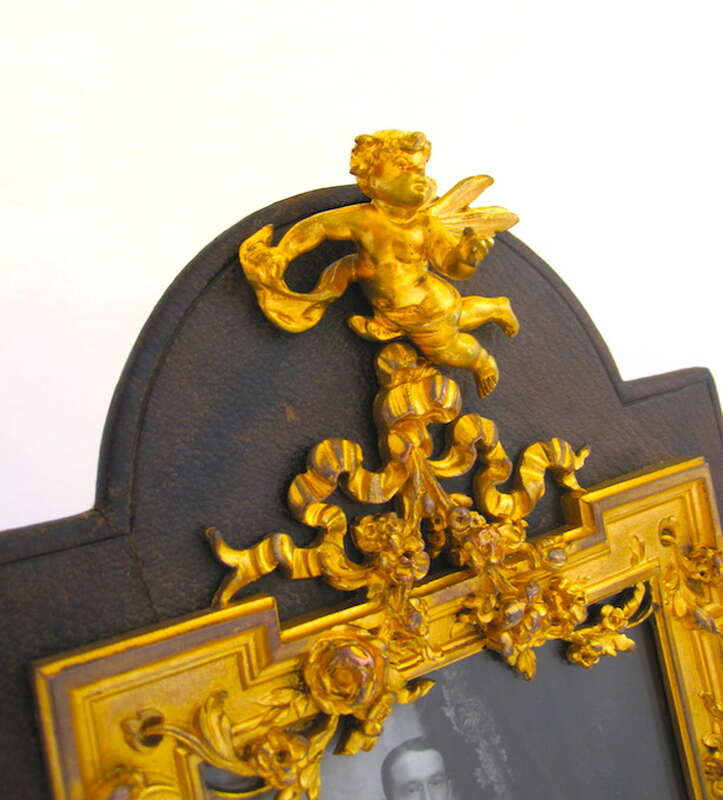 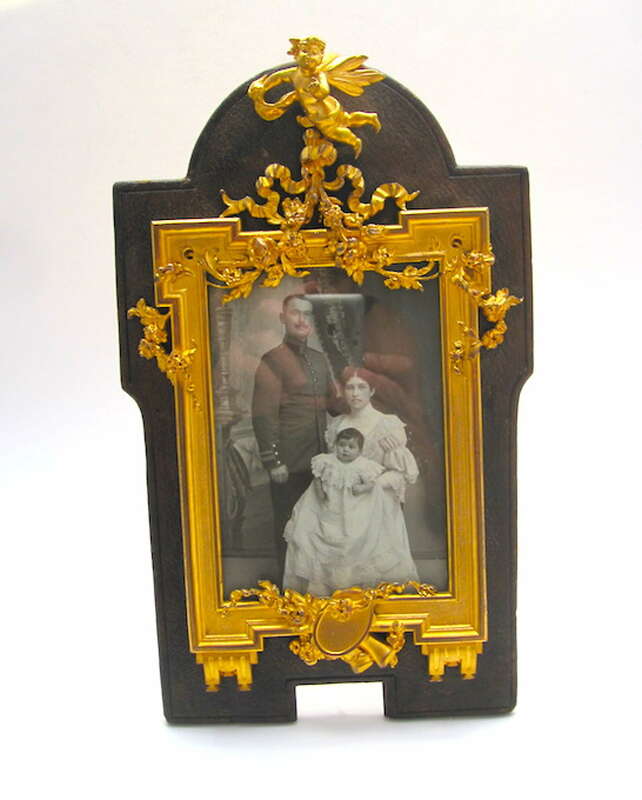 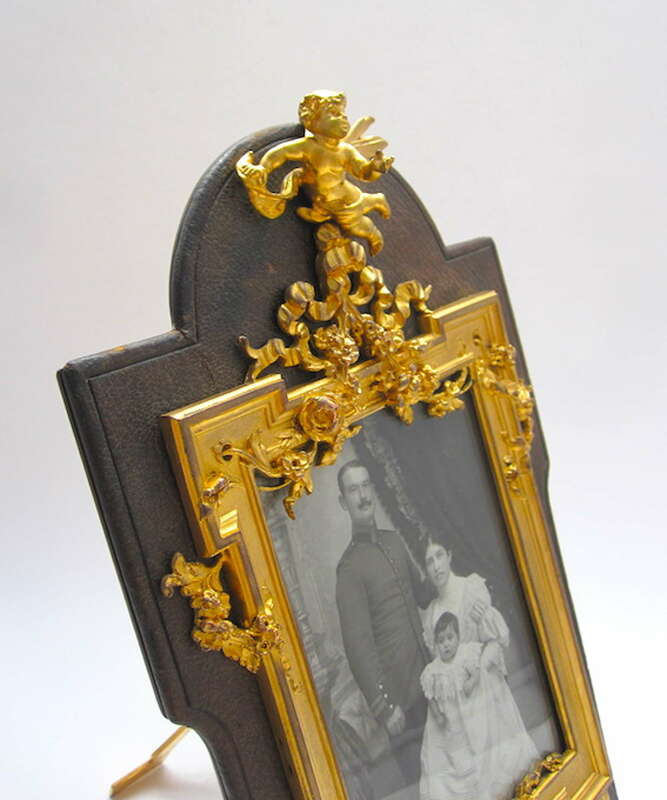 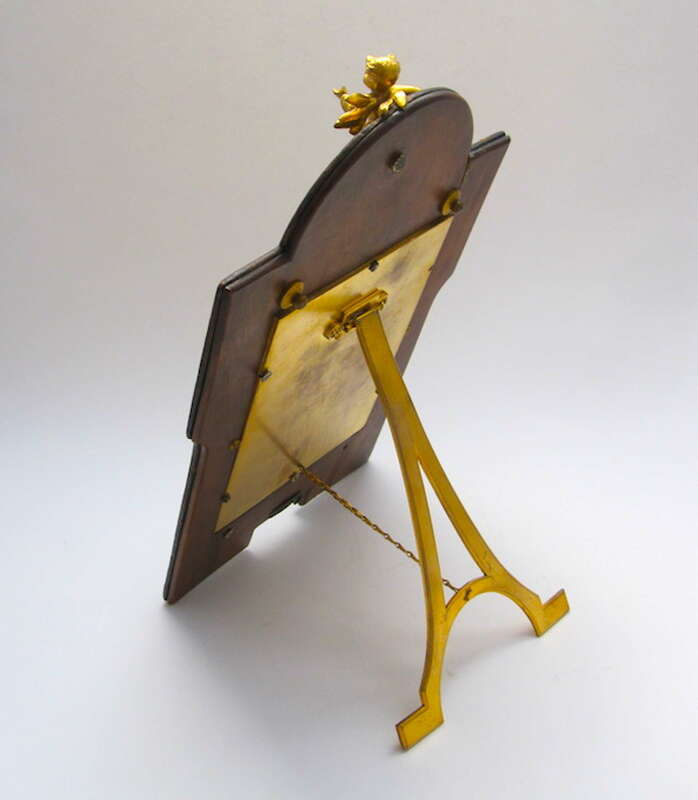 Antique Gilt Bronze and Leather SIGNED Frame Crowned with a Sculpted Cherub. 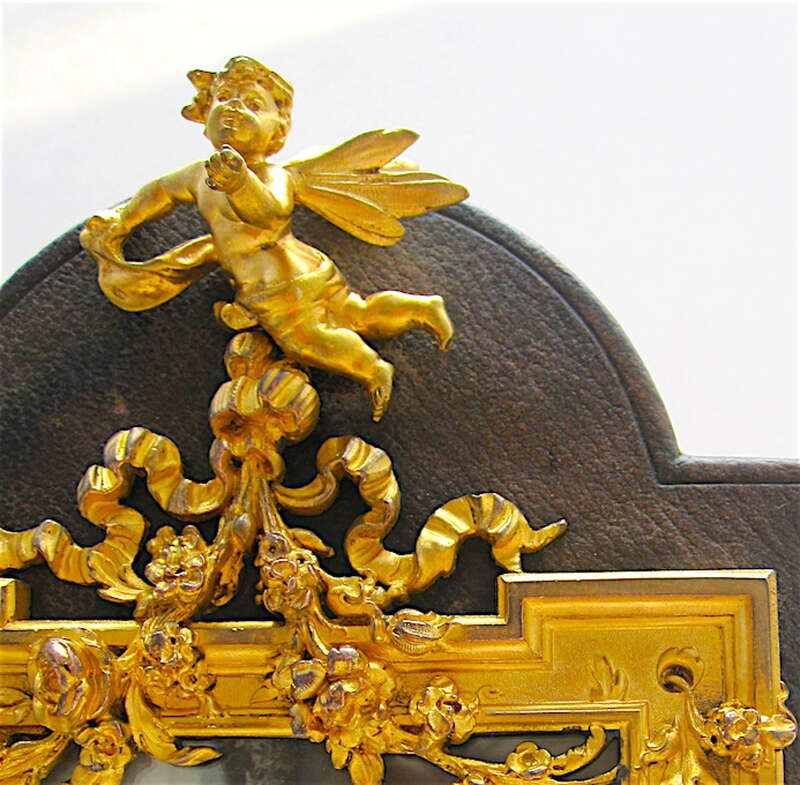 The Cherub a Dore Bronze Rectangular Frame with Two Small Flowers on Either Side which Support a Rich, Double, Flowering Garland and Bow. 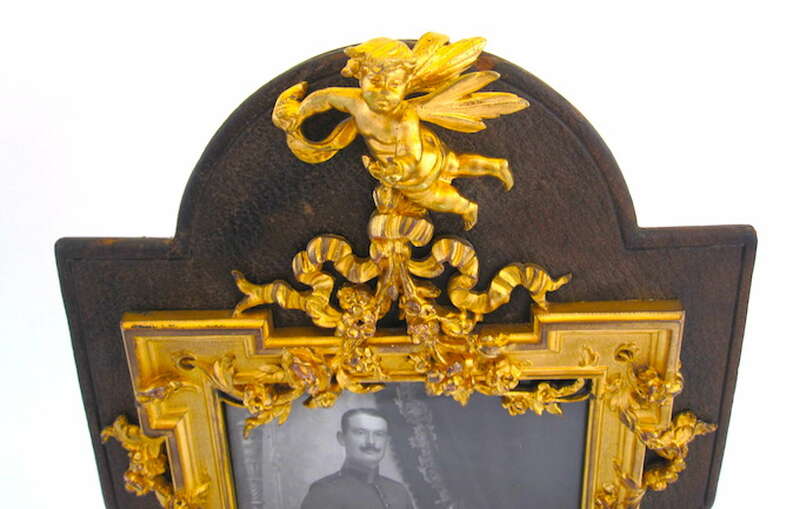 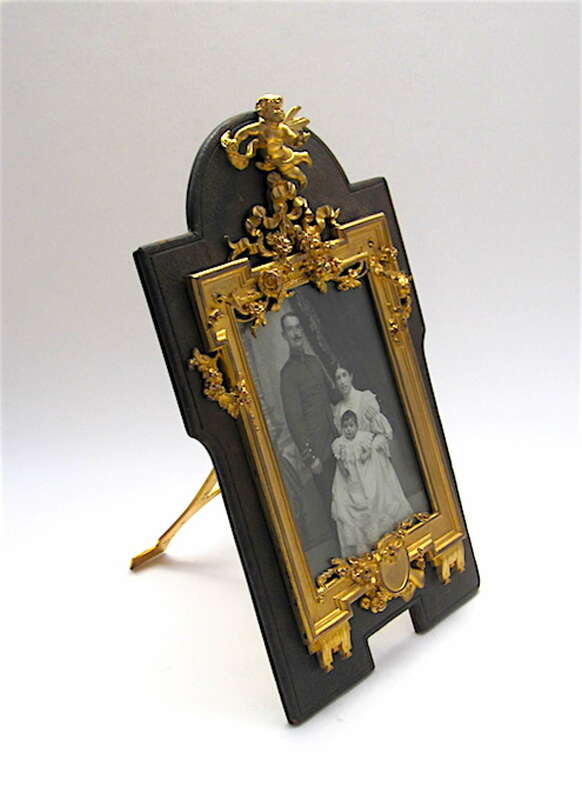 The Bottom of the Frame is Sculpted with a Tambourine and Flutes and Flowers. 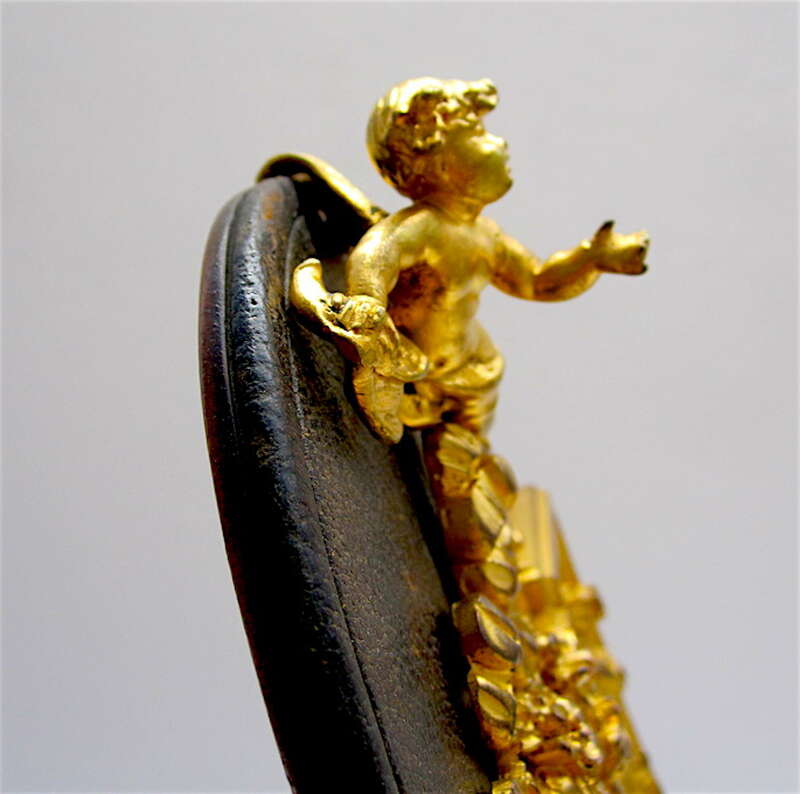 Auguste Klein was a Famous Austrian Goldsmith who Worked in Paris who also Worked for Rich Collectors and for Tsars in Russia. 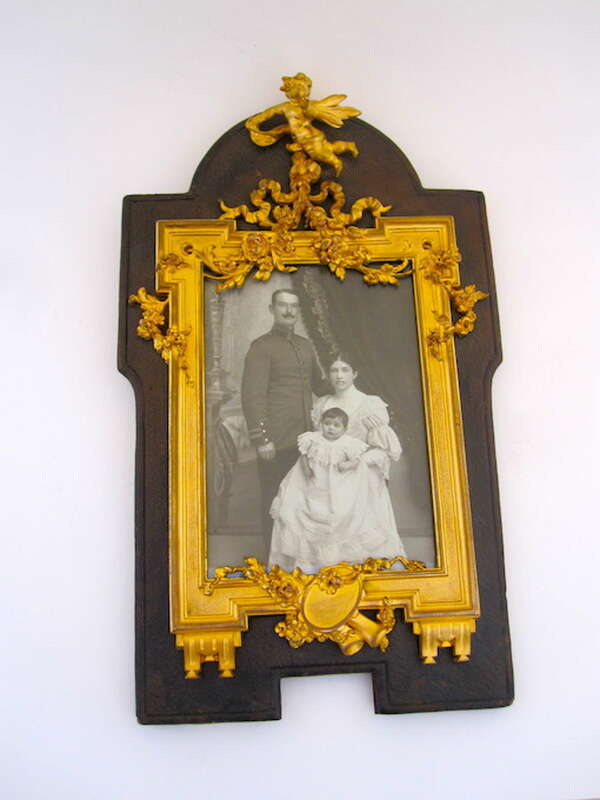 He was a Supplier to the Imperial and Royal Court of Vienna. 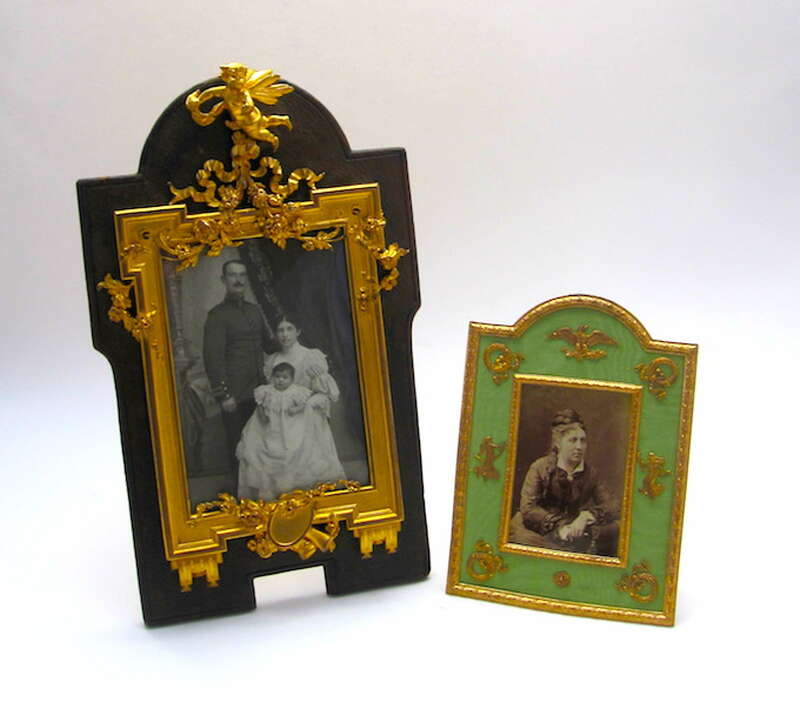 He Opened Several Shops in Paris at the end of the 1860s, including 6, boulevard des Capucines, in 1869, which Specialized in Sales of Leather Goods and Bronzes. 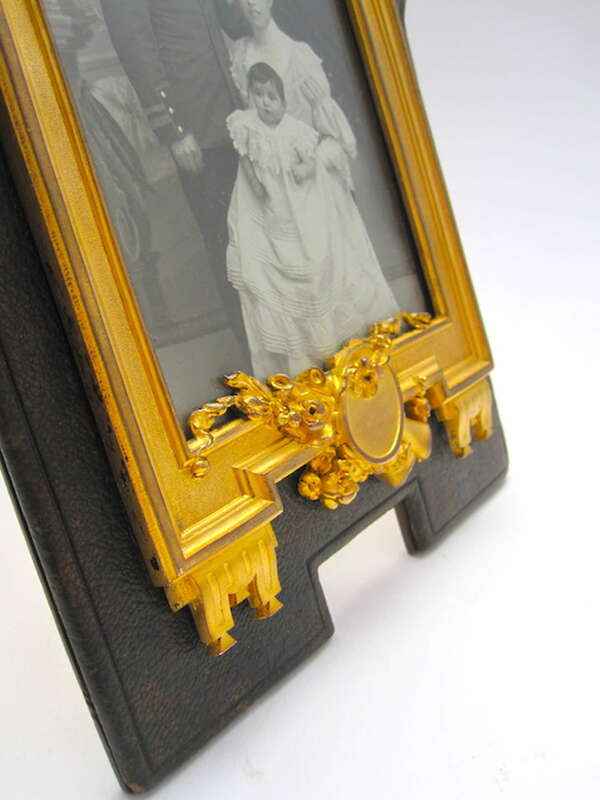 Elizabeth Taylor Became a Collector of His Finest Pieces, including a Basket that was sold at Christie's in 2011.